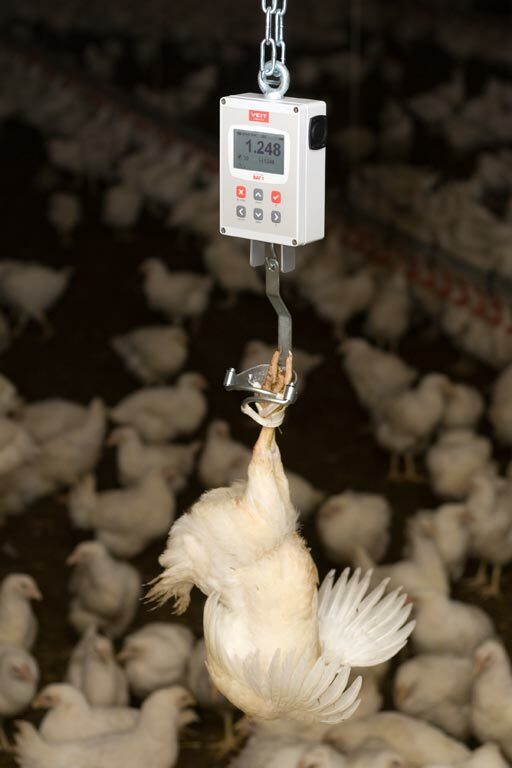 BAT 1 Manual Poultry Scale — Farm Weigh Systems Inc.
BAT1 Manual Bird Weigher is a scale system that provides complete weight data and further analysis… perfect for any poultry weighing application. Economical, reliable and easy to use! BAT 1 Manual Bird Weigher provides all the data for complete weight data and analysis… perfect for any poultry weighing application. Economical, reliable and easy to use! The portable BAT 1 scale quickly provides all the data for complete weight data and analysis. The large graphic display, high memory capacity, and long battery life are just a few features that make the BAT 1 the number one choice worldwide. A wide range of hooking systems birds for small chicks to full sized turkeys can be sampled. The powerful P.C. Software that is included efficiently organizes all data by flock and age, creating easily accessible growth archive. Growth curves, histogram uniformity and other data is easily managed by the BAT 1 and its standard software. For further details, please refer to the Contact Page.